Planning a trip to New York City? Want to bring your pup? There are plenty of dog-friendly locations and events for you and your furry friend to check out in the Big Apple. Before you pack, read through this guide for some of the very best dog-friendly spots. Located in NYC’s meatpacking district, The Standard High Line boasts amazing skyline views of Manhattan. This hotel offers a beer garden, a discotheque, a rooftop plaza, and an ice skating rink! They allow two dogs per room without a weight limit or cleaning fee. Even Hotel is just a stroll away from Times Square. In addition to their prime location, they offer freshly-prepared food and comfortable beds. This hotel allows dogs under 50 pounds for a one time fee of $50. Located in Midtown Manhattan, Stewart Hotel is close to a considerable number of attractions. Amenities include a gym, room service, extended stay options, valet parking, kitchens, and their own Niles NYC restaurant and bar. The Stewart Hotel allows dogs up to 20 pounds with a $100 non-refundable fee. Hotel 50 Bowery is a boutique hotel that captures the energy of NYC. Inspired by the cultural crossroads of its location on Manhattan’s oldest street, the hotel has created an immersive experience reflective of Chinatown’s evolution. There are 229 rooms, a rooftop restaurant and bar, plus a ground-level restaurant and basement lounge. There is no fee or weight limit for bringing your pup along. This luxury hotel in Midtown Manhattan really does look like a palace and offers events such as magic shows, relaxing brunches, and impromptu Gossip Girl tours. This could be the perfect place for you and your pup to find something unique and fun in a glamorous setting. Lotte New York Palace allows dogs up to 25 pounds with a pet-cleaning fee of $125. Want to see all the New York City landmarks, but you don’t want to leave your doggo behind? The Novotel Times Square offers access to Broadway, Central Park, Times Square, and an array of museums and shops. In order to include your pupper during your stay, you will be asked to sign a waiver upon check-in. There is no weight limit! Located a few minutes walk from Bryant Park, there are many dog-friendly activities right around the corner from this hotel. Stroll the lush gardens in the summer or visit the food kiosks and holiday market in the winter. 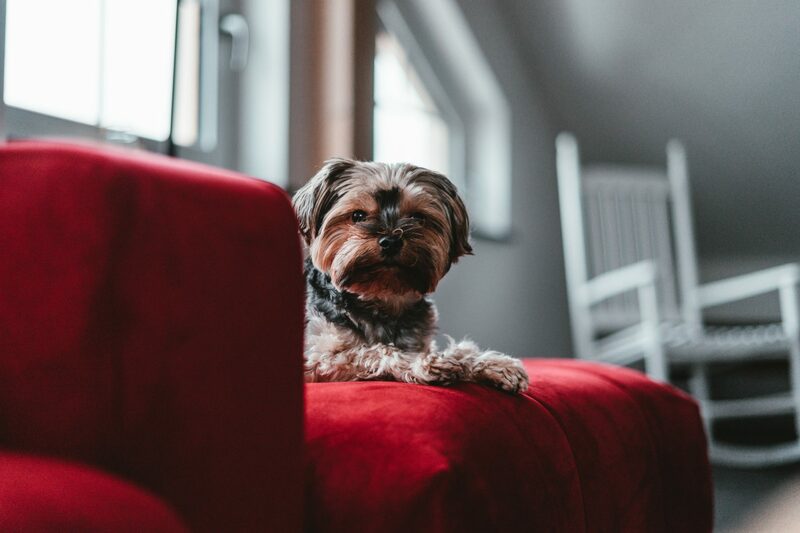 With wonderful views from your room and great amenities, the Park Terrace Hotel on Bryant Park allows dogs up to 20 pounds at no additional fee. Deeply historied and tastefully furnished, The Beekman Hotel now occupies a landmark building completed in 1881. The hotel offers several places to dine and drink, and is located within lower Manhattan’s thriving downtown. The Beekman allows dogs up to 35 pounds, and there is a limit of two dogs per room. There is also a $300 non-refundable fee charged to your account if there are any damages made to the room during your stay. Don’t forget to bring your pup to check-in. A 6-minute walk to the Brooklyn Bridge, a 2-minute walk to Barclays Center, and a mere stroll to Manhattan, The Tillary Brooklyn offers an endless supply of entertainment possibilities in and around the hotel. Their own cafe, the TRoom, serves morning coffee and grab and go breakfast items so you can start your day right! The Tillary Brooklyn allows dogs 25 pounds and under for an additional fee of $100, and over 25 pounds for $150. This hotel, set in a building from the 1900s, once housed bohemian icons like Jack Kerouac in storied Greenwich Village. It’s a 3-minute walk from Washington Square Park and its famous arch, and a 5-minute walk from a subway station so the whole city is almost at your doorstep! They also offer an espresso bar, a cocktail bar, and dining options at their very own restaurant, Margaux. The Marlton allows dogs under 30 pounds with no additional fee and asks that guests sign a pet waiver upon check-in. The Barking Dog offers American-style food in a friendly atmosphere. According to their website, they serve delicious breakfast, lunch, and dinner fare in a dog-friendly atmosphere that caters to the family canine. 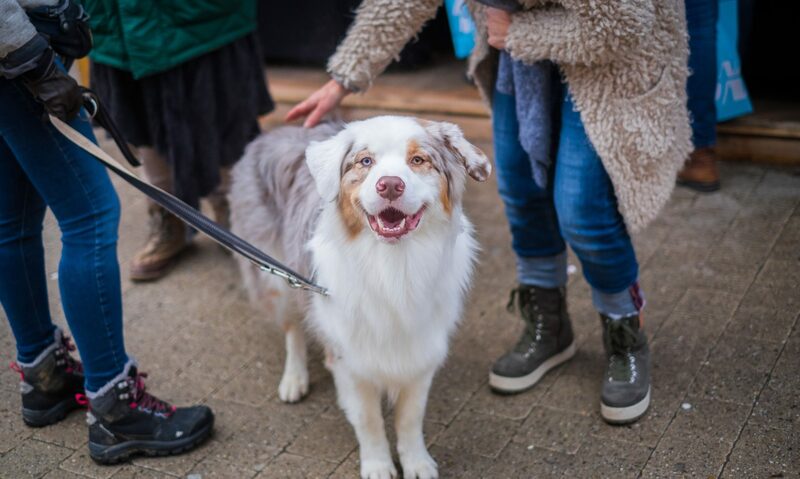 The outdoor seating area features a doggy fountain where your pup can socialize with other furry friends while you enjoy tasty cafe-style fare. They also offer free delivery if you and your pooch decide to dine in your hotel room. 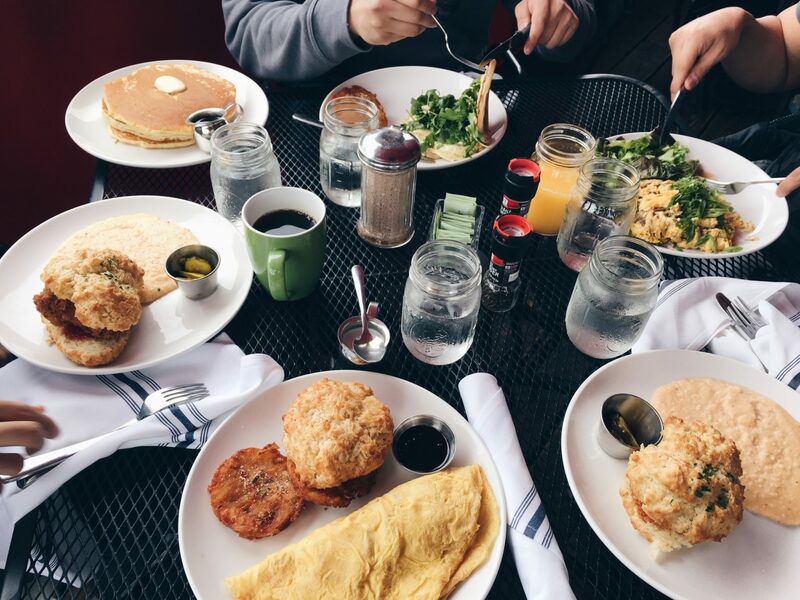 This quaint eatery in the Carrol Garden neighborhood offers a hearty American comfort-food menu and a popular weekend brunch including buttermilk pancakes, housemade granola, and burgers. Waits can be long, but you and your pup can sit outdoors at a handful of sidewalk tables when the weather allows. Hours: 11:30 a.m. to 3 p.m. and 5 to 10 p.m. The Lucky Dog is a bar located in Brooklyn that actually allows pups to relax with their owners inside. This would be a great place to go when it’s still a bit chilly out and you and your doggo are looking for a fun atmosphere. Hours: 12 a.m to 4 p.m. The Bean serves a large selection of drinks, including coffees, tea, lemonade, kombucha, matcha lattes, and juice. This would be a good place to stop when you need to sit down and enjoy a refreshment as there are multiple locations around the city. Dogs are allowed to join their people inside. Hours: Monday to Sunday from 7 a.m – 12 a.m. Specializing in craft beers and wines by the glass, Von offers a superb place for you and your pup to be together in a cozy atmosphere. Here’s a tip: order food at the Bianca Bar next door and they’ll bring it over for you to eat! Hours: 5 a.m to 4 a.m.
Don’t let any rainy vacation days get you down. This brewery allows dogs and their pet-parents a comfortable place to sit back and unwind with board games and beers. Five Boroughs doesn’t have food, but takeout can be brought in from elsewhere. Hours: Thursday 4 p.m to 10 p.m.
Friday- 4 p.m to 11 p.m.
Saturday- Noon to 11 p.m.
Sunday- Noon to 10 p.m.
Gemma is an Italian Trattoria located on the ground floor of The Bowery Hotel where, according to their website, Chef Carlo Bigi pairs rustic, seasonal cuisine such as cacio e pepe and margherita pizza with an extensive Italian wine list in an ambient setting, doggos welcome. Hours: 7 a.m to 12 a.m.
Forest Park is for true nature lovers and city-dwellers alike as it provides both quiet places of contemplation as well as golf courses, baseball fields, nature centers, tennis courts, and even a carousel! Bring your adventurous pup along for an all-day outing where you can explore together. This beautiful park boasts an array of tree-species rarely seen in combination around other parts of the city. This means much-needed shady areas during a hot, summertime stroll or the perfect tree-lined walkways for springtime or fall. There are several basketball courts and gardens, as well as drinking fountains and a wonderful dog run just for your pup. Ewen Park is great for when you and your dog need some extra exercise. You could skip the gym at your hotel and bring your dog to this recreational area with an abundance of Civil War history (if that’s your thing). Check out the extra-long staircase that offers plenty of opportunity for your daily cardio. Although it is relatively small, this park offers a plethora of activities. There are basketball and handball courts, a runner’s circle, places for picnics and barbecues, plus Thomas Jefferson Park will make you feel less like a tourist and more like a local; there’s a great place for your pup to run around and make new friends. The Brooklyn Art Dog Run takes place in April. This 5k tours local street art, and runners bring their doggos along! A comedy show where dogs are allowed? Yep! Enjoy great food, beer, and laughs with your furry friend. Be sure to check their calendar so you don’t miss the next one. The first Saturday of every month just got a whole lot furrier! Bring your pup to Coffee Bark in NYC for dog treats and coffee, plus pastries for their humans. Join the Mets and North Shore Animal League America for Bark At The Park at Citi Field! Bring your canine companion and support the largest no-kill animal rescue and adoption organization in the world. If you and your pup are in NYC in July, you won’t want to miss this event. Barkfest features adoptable dogs, a dog-friendly photo booth, celebrity doggos, and a hot dog contest. Each year on Easter, celebrants don festive attire and show off their very best regalia along Fifth Avenue. Dogs are allowed to participate! You and your pup are in for a true New York experience! Each year in February, the Westminster Kennel Club hosts their annual dog show! You’ve never seen so many pooches in one place, this is a must see if you find yourself in New York City during the month of February! Click here to check out some photos from this year’s show and here to get to know the fastest All-American Agility competitor, Plop! 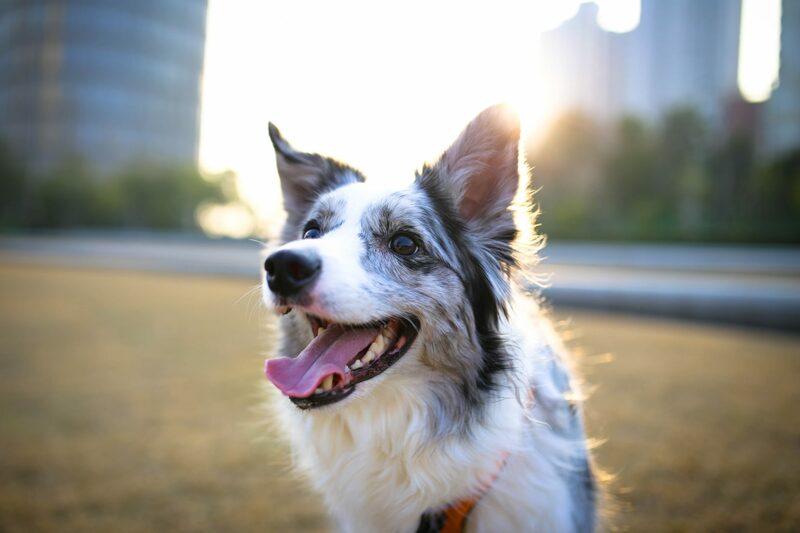 Getting your pup tested with Embark will help you discover more about them! We look at over 250 breeds, over 175 genetic health conditions and traits, and even relatives! Click here to get your dog DNA test today.